I spent the first few days of my summer vacation recovering from a poorly-timed cold, but it gave me the opportunity to do one of my favorite things – catch up on my reading. Even in our always-on, electronic echo chamber of information & distraction, I seek to lose myself in the holodeck of my imagination as it recreates the world an author is describing one word at a time. I'm lucky to be raised by a family that prioritized education and reading. I had an uncle (close family friend, really, but we all called them uncles & aunts where I'm from) who was an educator. When he visited, he would take time to read to me and tutor me on reading. My parents, as part of the developing middle-class of the Philippines, had invested in a full set of encyclopedias which we kept for way too long; it was from an era that preceded the moon landing so it was woefully out of date in the sections regarding space. Aside from a few anachronisms, I enjoyed looking through random volumes especially those with cool illustrations, like illustrating the layers of a frog from its skin, musculature, vascular systems, organs, and bones in a series of overlapping printed transparencies. My elder siblings had small collections of The Hardy Boys and Nancy Drew which I also read; when they discovered Tintin and Asterix, so did I. I would read whatever I could get my hands on that looked interesting could somewhat understand. When we immigrated from the Philippines to the United States, not only did we travel halfway around the world but we also went down a few rungs on the socioeconomic ladder. This was a consequence of the pursuit of the American Dream – with education and hard work, you could work your way farther up the ladder than you might otherwise get to where you're from. This is particularly true for those of us from developing countries. When I wasn't playing Lego by myself, I would read. I took advantage of the local public library whose collection of Choose Your Own Adventure books I completely devoured. We lived with my aunt and cousins for the first year or so, and I read all their books. I discovered Ramona, Bunnicula, and The Phantom Tollbooth. As a teenager, I worked at B. Dalton bookstore at the local mall for a bit. I probably spent half my earnings on books – thankfully I had an employee discount. I read tons of fantasy, from Elfquest to Shannara, and science fiction, from Foundation to Armor. My teenage alone time was spent reading, playing video games, and drawing. I would spend hours every day doing any combination of the the three, usually sacrificing sleep in the process. These days I rarely find myself playing video games, and what drawing I do happens primarily on whiteboards at the office, but I take the opportunity to read when possible. Beyond email, Facebook, news, text messages, random Quora answers, or articles on the Web, I try to find time to lose myself in a good book or three. I consider it a good day when I spend much of my leisure time lost in a story well told. This past summer, I was able to finish books that have been lingering for months and a couple that took a day or two from start to finish. Here are short reviews of some of them. I came upon this book after reading an interview with the author that a friend shared on Facebook. I thought it was a very well-told story that allowed me to better empathize with the white working-class of America, those to whom Donald Trump seemingly gets his support from. Rooted in personal experience, it's an insightful look into the socioeconomic factors that have played a major role in the politics of our generation. 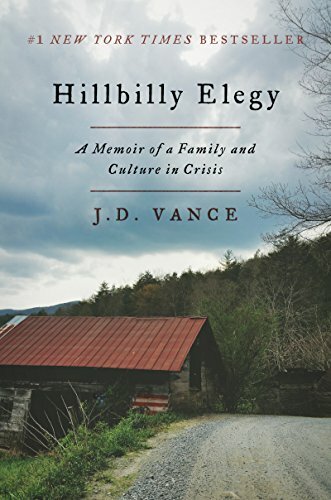 Vance's story is worth reading. I got this book a while back but never got around to actually reading it til recently. 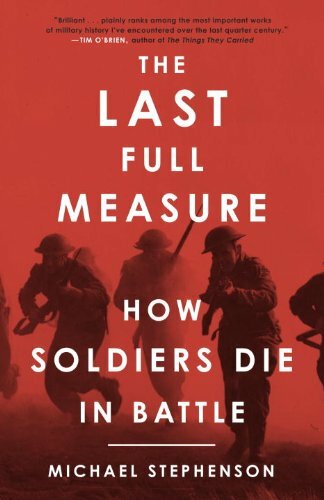 This is a very well-researched military history that recounts the unvarnished, unromantic ways in which soldiers die, from the Stone Age to the Modern Age. It's haunting to read first-hand accounts of soldiers witnessing war throughout the ages, often from both sides of a given war. It has never been pretty, nor is reading about it easy. I never read the series, but like millions of others I read and enjoyed the Harry Potter series from the first book to the last movie so I thought I'd give it a shot. This was entertaining & clever, but it felt much lighter than Harry Potter does. 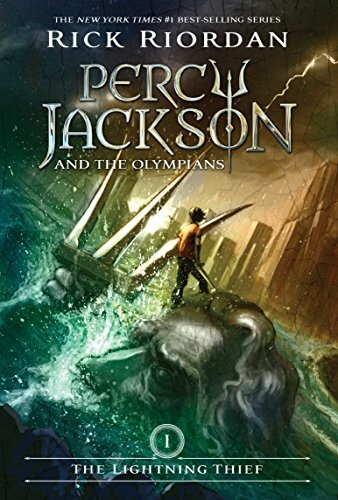 Unlike Harry Potter which could be enjoyed by kids and grownups alike, Rick Riordan's series feels more appropriate for kids. It was enjoyable, but I'm not inclined to read the rest of the series. A fascinating premise with a unique format. A little girl falls through a hole in the ground to land in a large metal hand. What is it? Where'd it come from? Each chapter is a transcript of an interview with a nameless agent or a journal entry of one of the protagonists. The story doesn't flow as smoothly as it could maybe due to this unconventional structure, but it made for fun reading with its clever twists and references. I'm planning on reading the sequel when it comes out later this year. 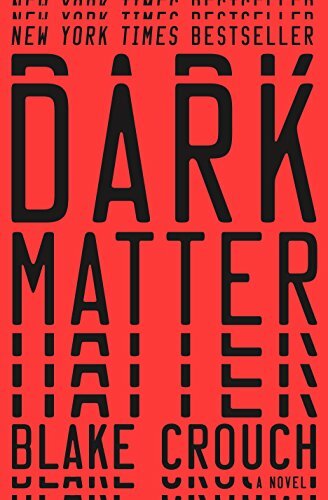 Quantum physics continues to baffle us, but it doesn't prevent the author from telling a story that is accessible as well as entertaining. A fun thriller that reminded me of Michael Crichton in his heydey. Jason is kidnapped and knocked out. He wakes up among strangers who are relieved to see him again, goes to a home that he barely recognizes, and sees a version of his life that might have been. The pace doesn't let up, with the twists and turns in the latter half making it hard to put down. 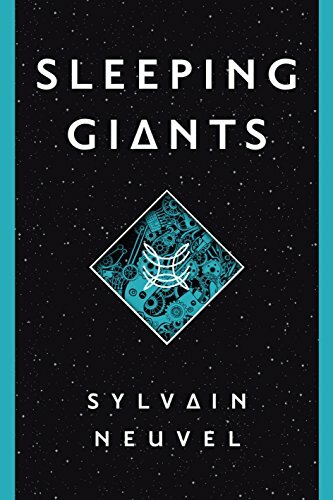 This is a good, smart, insightful, sci-fi thriller that's worth reading. I'm a Neal Stephenson fan. I loved Snow Crash and Cryptonomicon. His books tend to be smart, well-researched, intricately-woven, expansive epics. 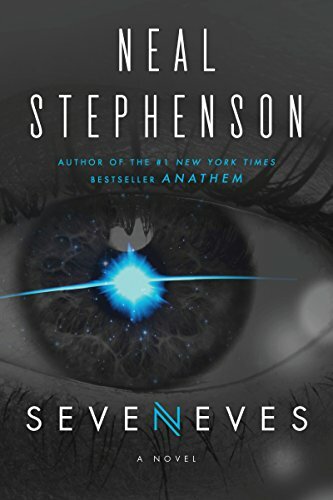 Seveneves follows that formula. An unexplainable catastrophe causes the world to do what it can to ensure humanity's survival. How will nations and individuals behave when they realize that they're going to be dead in a very short time? And what would we do to ensure the survival of our species? Another book that I started last year but only got to finish now. 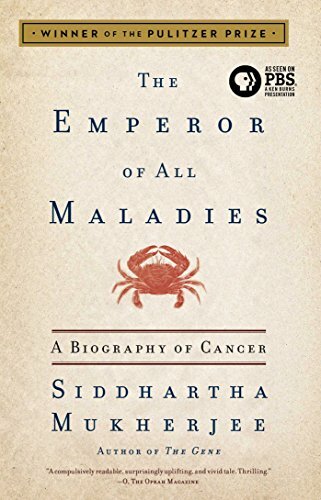 Written by a practicing physician reporting from the front lines of humanity's fight with cancer, this Pulitzer-winning book provides a comprehensive look at our long history fighting and trying to understand cancer. Mukherjee writes beautifully, enabling readers to connect on a human level with what could have been a cold, mechanical medical history of the great killer of our time.